India’s 3rd largest GSM mobile service operator IDEA Cellular has enthralled its GSM customers in Kolkata and West Bengal (ROB) circles by launching Bucket of On-Net Calling Packs. These unique and easy to lower the own-net calling packs will aid them to call any other IDEA Mobile for Free Unlimited or as low as just 15 paisa per minute. 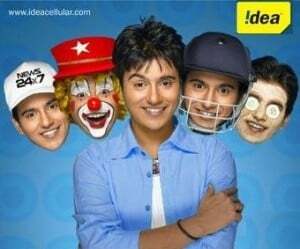 IDEA Cellular unveils four Own Net calling packs. Under the “I2I Voucher of Rs.23” Local Idea 2 Idea Calls @ 25p/min for Day (7 a.m. to 11 p.m.) & Local I2I Calls @ 15p/min for Night (11 p.m. to 7 a.m.) this plan is valid for 30 days and applicable for all new and existing ‘Per Minute plan’ subscribers. Under the “I2I Voucher of Rs.24” which is applicable for Per Second plan users, Local Idea 2 Idea Calls @ 1p/2sec for Day (7 a.m. to 11 p.m.) & Local I2I Calls @ 1p/3sec for Night (11 p.m. to 7 a.m.) this plan is valid for 30 days. The Operator also launches Unlimited Own Net Calling packs of Rs.11 and Rs.249.Unlimited I2I Voucher of Rs.11 gives freedom of unlimited calls to all local Idea mobiles for One Day. While Unlimited I2I Voucher of Rs.249 offers Unlimited Idea to Idea local calls for 30 days. Both Unlimited Calling packs can be clubbed with any prepaid plan i.e. per minute and per second. To know more on IDEA prepaid plans customer can call 90880-12345 (Kolkata) and 90930-12345 (Rest of Bengal). as cos I’ tryed sms for settings SET 54671 and S IMEI to the same but Responce Error-Hand not provinisable. I Called customer care, they told they told they cant provide any manual settings.. so pls request to do the ned full for me ASAP. Idea has introduced 2 new value vouchers for Kolkata & West Bengal circle subscribers.